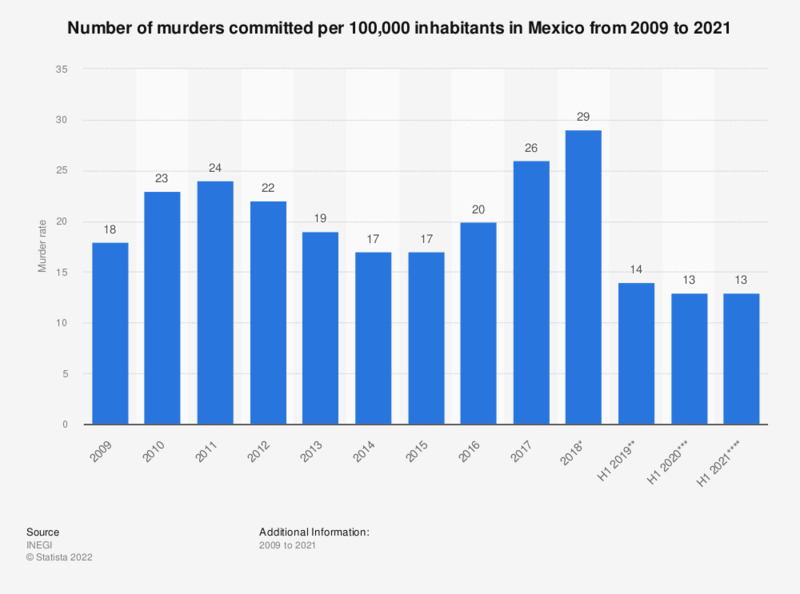 This statistic presents a timeline of the murder rate in Mexico from 2000 to 2017. On average, nearly 21 people per 100,000 inhabitants were murdered in Mexico in 2017, up from 17 murder cases per 100,000 inhabitants a year earlier. * Preliminary figures as of February 20, 2018.